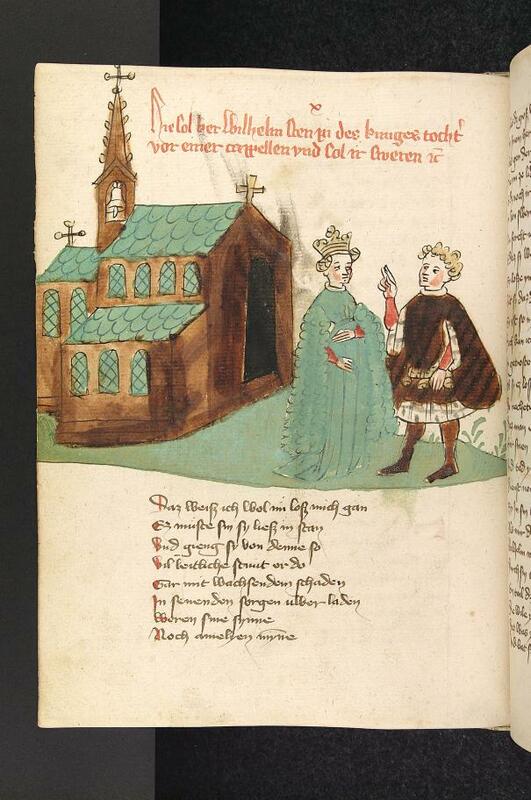 For several years now, I have been studying the frilled, ruffled, pleated, and crimped veils of the 14th century. 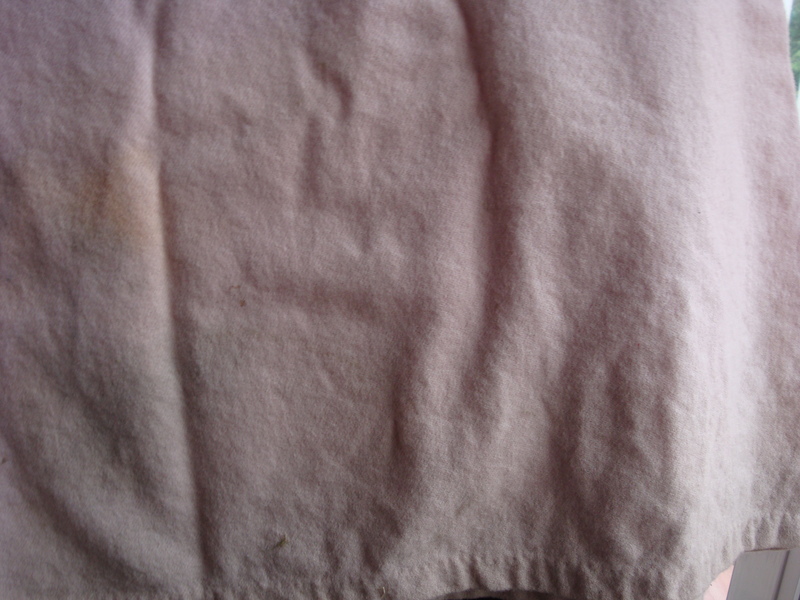 In the fall of 2009, I made my first attempt – a veil which I have loved and worn and worn. However, it was definitely a beginner’s attempt. After examining dozens and dozens of images and reading every frilled veil article that I could get my hands on, I decided to make a second frilled veil in the fall of 2010. This time, I decided to have the ruffle surround the entire veil perimeter, which was 235cm. The next decision was about the style of the ruffle. For this project, I made the decision to use a cartridge pleating technique. 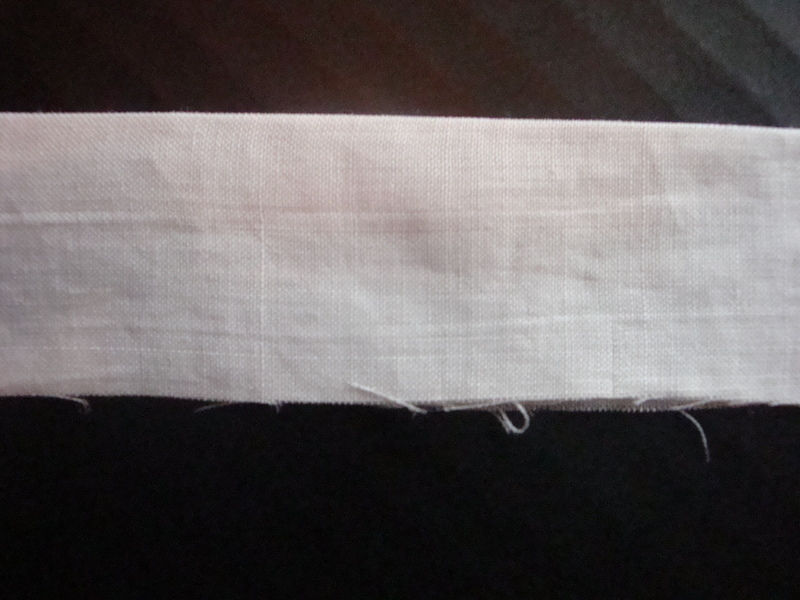 As such, I experimented with 3 different pleating sizes: 0.5cm, 1.0cm, and 1.5cm. After trying all 3 sizes, it was easy to choose 1.0cm as the best size for both width and spacing. 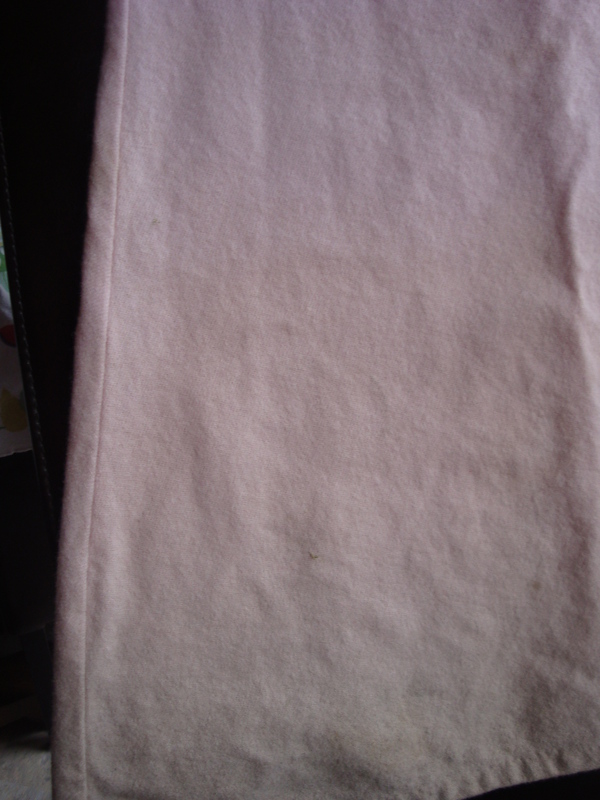 The next problem was to figure out the best method to mark for the pleats. I decided to use pins instead of a modern marking pen as a possible method more authentic to the middle ages. 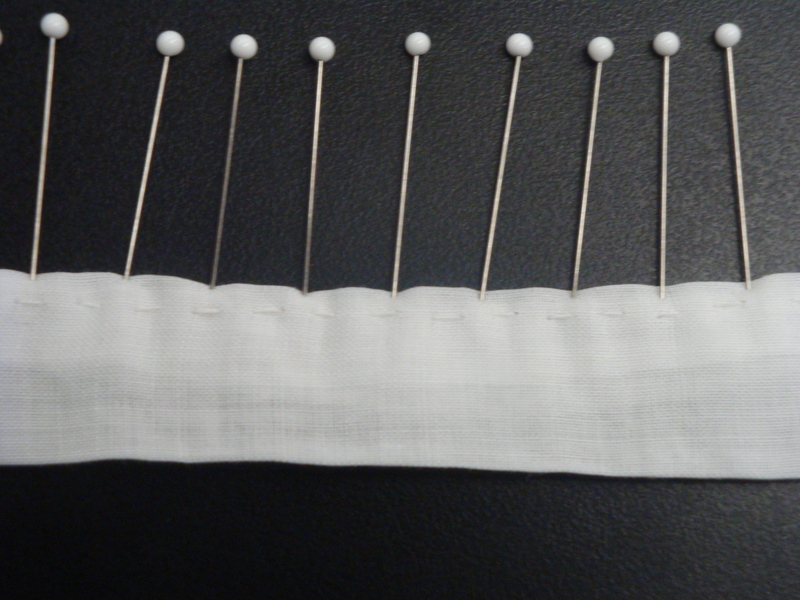 With 1cm pleats, 1,200cm of veil tape was needed – with 1,200 marking pins. 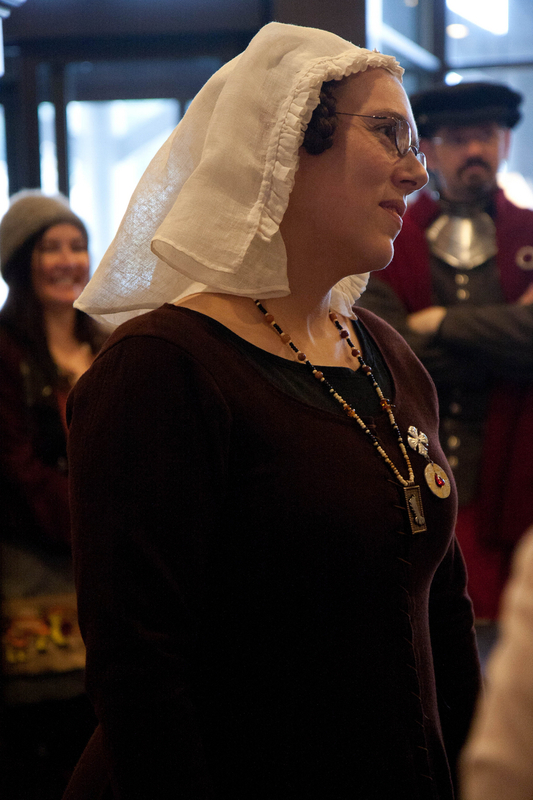 Later, I was a student judge for a 14th Century Wool Dress entry. This was a genuine learning experience. I was impressed by the quality of the work and by the questions and observations made by the judges. For me, personally, I was appreciative to have an opportunity to reflect on my own work and research in comparison to some of the phenomenal artists of An Tir. The highlight of my day was becoming Baroness Brighid’s protégé. We had a (thankfully) short, but meaningful ceremony. Again, I found myself honored to become a student to one of An Tir’s great peers. What a significant year this has been for me. Both of these images are © Talentus del Albero, who’s skill is brilliant. I am in his debt. 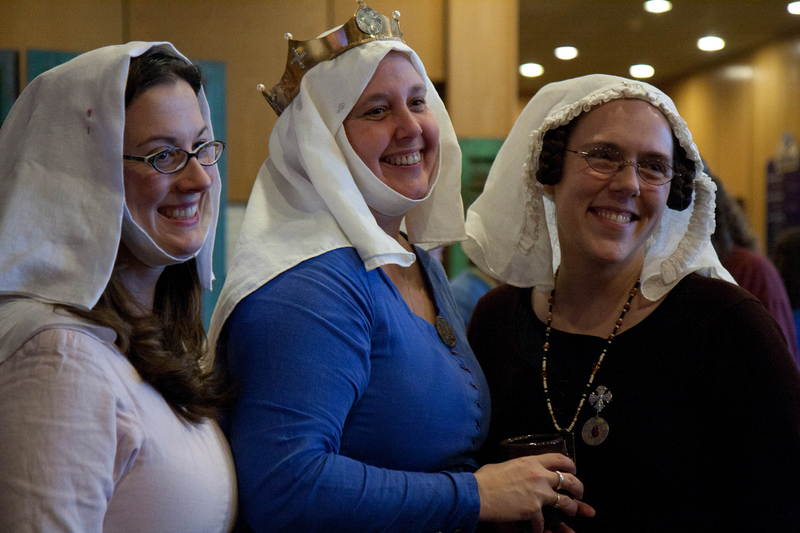 I have been in the SCA for six years now. At some point during each and every outdoor event, I think the same thing. “My hands are freezing!” For this entire time I’ve been wanting to wear mittens or gloves, but unable to find the evidence I needed in order to do so. And so up until this point, I’ve allowed myself to walk around, weekend after weekend, with cold hands. 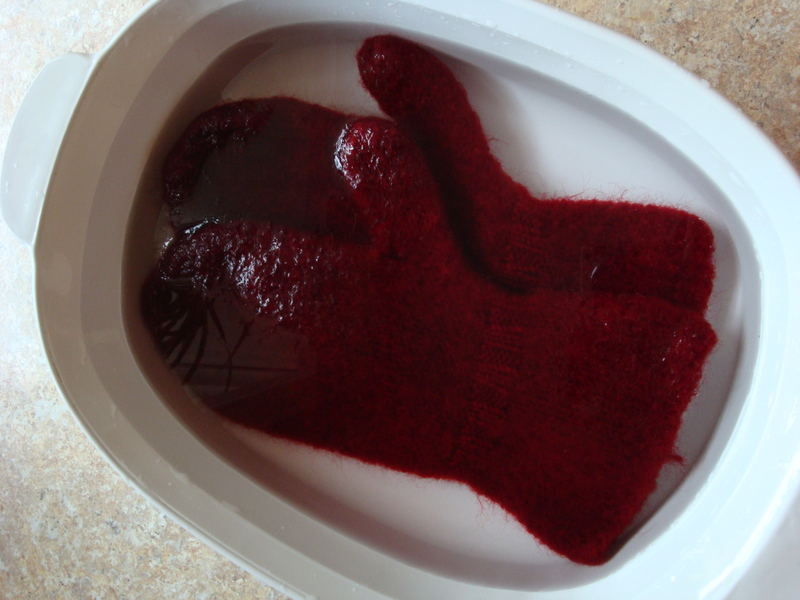 I mentioned that I wanted to make a pair of mittens and then embroider on them to my mother – and it was my lucky day. 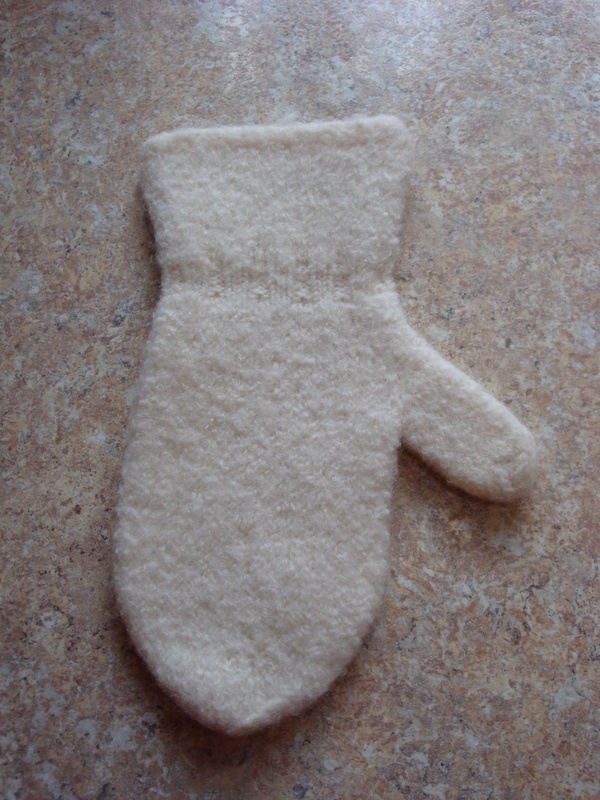 Mom gave me a pair of mittens that she had made a few years ago. 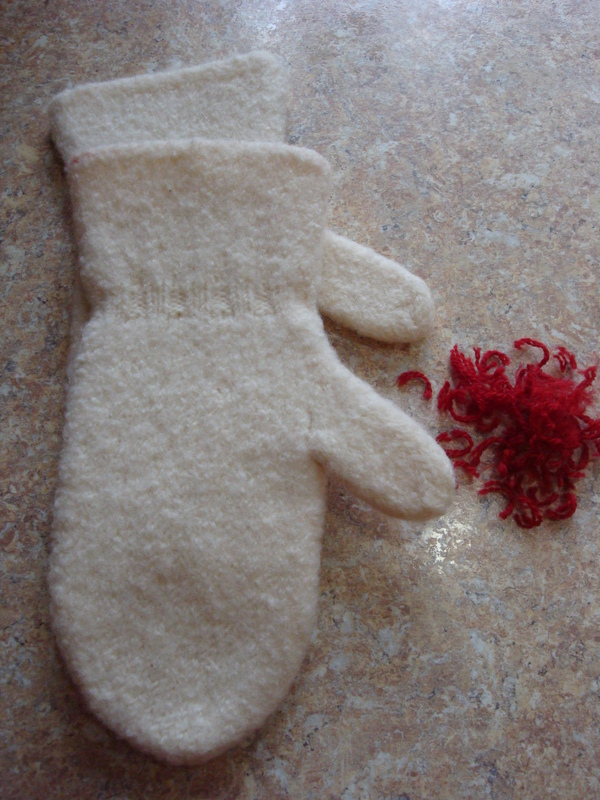 These were originally knitted in wool and then fulled to shrink into a smaller, thicker fabric. Sadly, when they shrank, they became too small for my mother. However, my hands are just a bit smaller than hers and they fit me. Yay! I decided to try embroidering on them and was very pleased with the results. But then like so many of my SCA projects – one thing led to another. 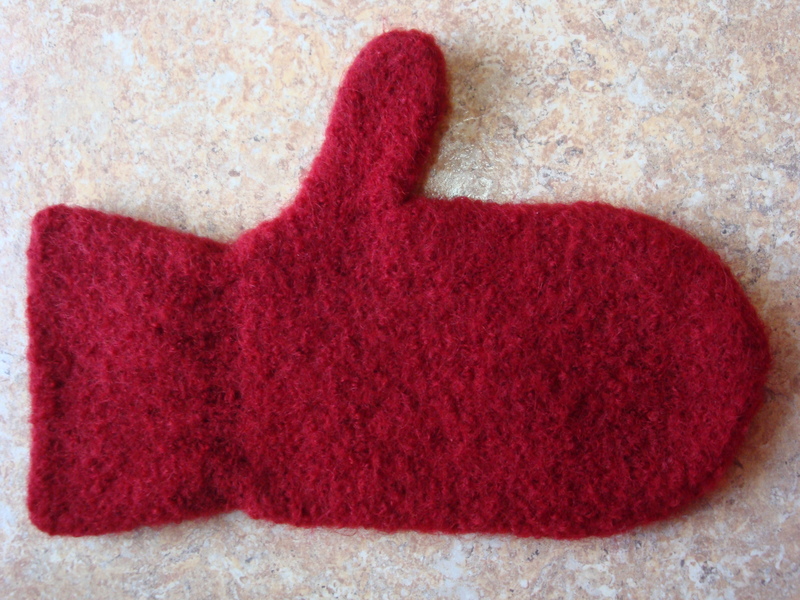 I decided that these mittens would be so much better if they were red. 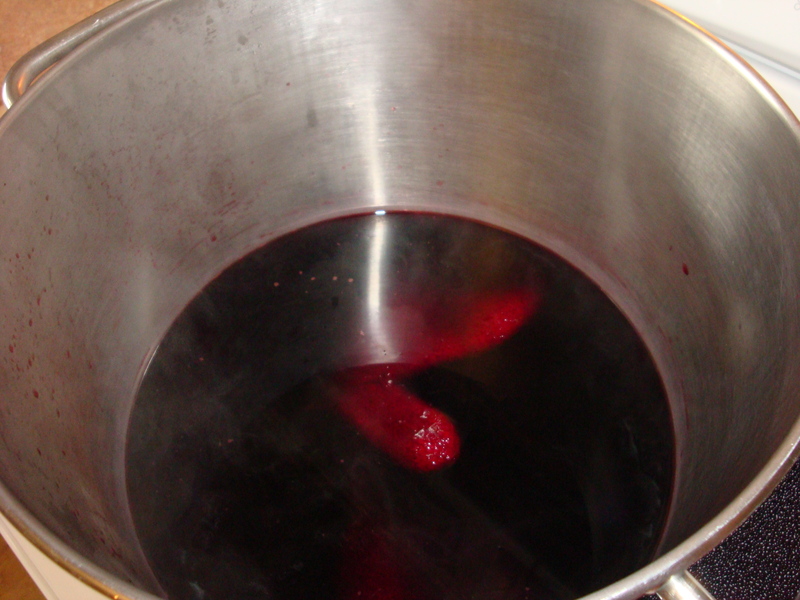 So, out came the embroidery and into the dye bath they went. I’m just giddy with the results. So, having selected this plaid fabric and then worked up the courage (and documentation) to make a houppelande out of it, it was time to settle in on a style. I decided to cut this in the style that starts with two half circles, which are then cut down to quarter circles. 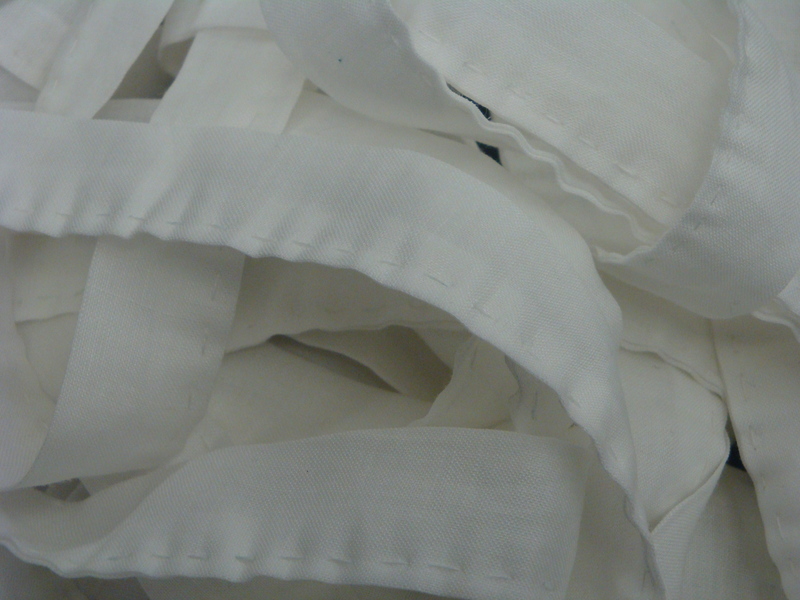 The end points of these circles are cut off and then sewn together to form the shoulders. The nature of this style causes the plaid to fall on the bias. With such a detailed and busy pattern, Elisabeth suggested a simple style and finishing – and I agreed. 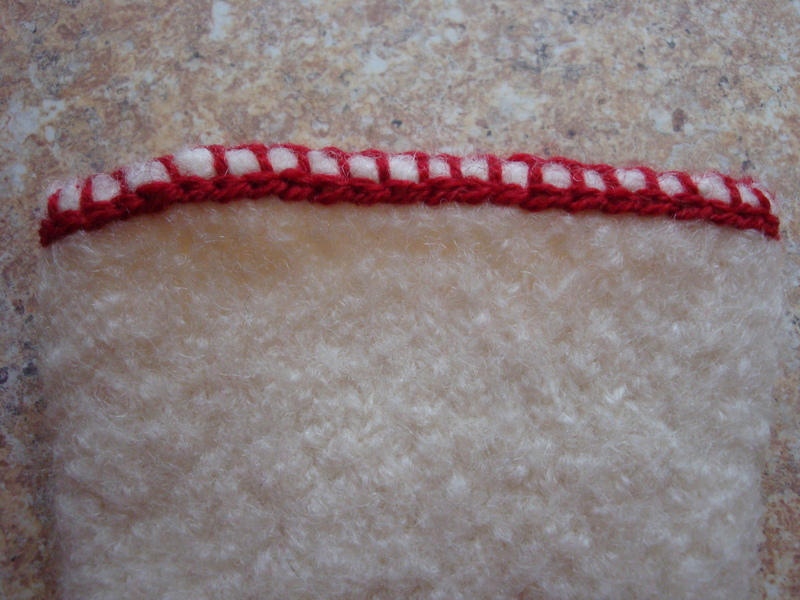 My plan is to cut the sleeves fairly fitted and the cuffs and collar will be finished in a brown fur. 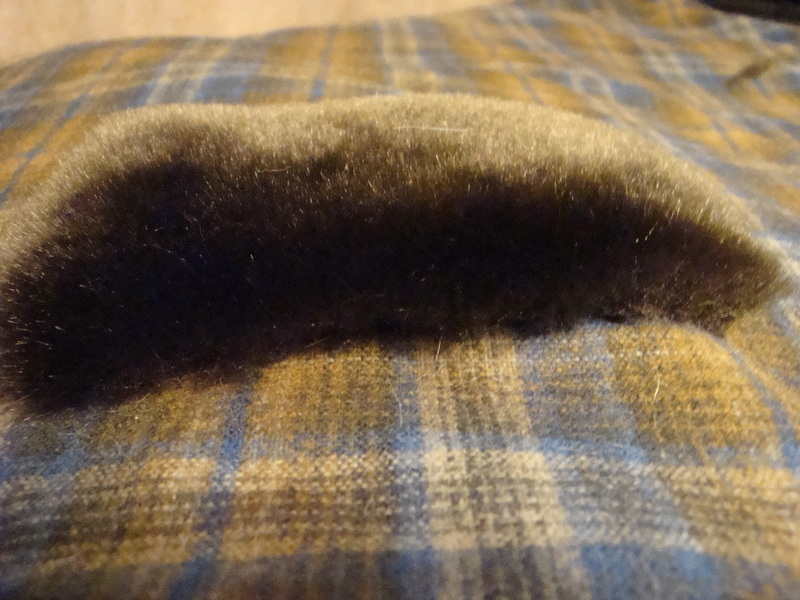 Having made that decision, the next quest was obvious…find the fur. 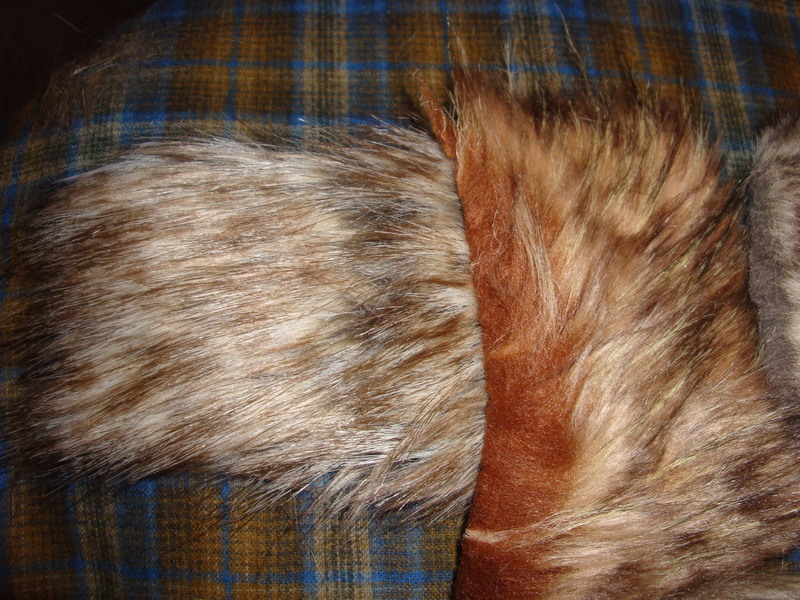 I ordered 7 brown fur samples from a company that sells the most amazing faux fur. Some were just too distracting, but in the end I found what I was looking for – a classic rich brown. It all started last November with a visit to the Pendleton store. 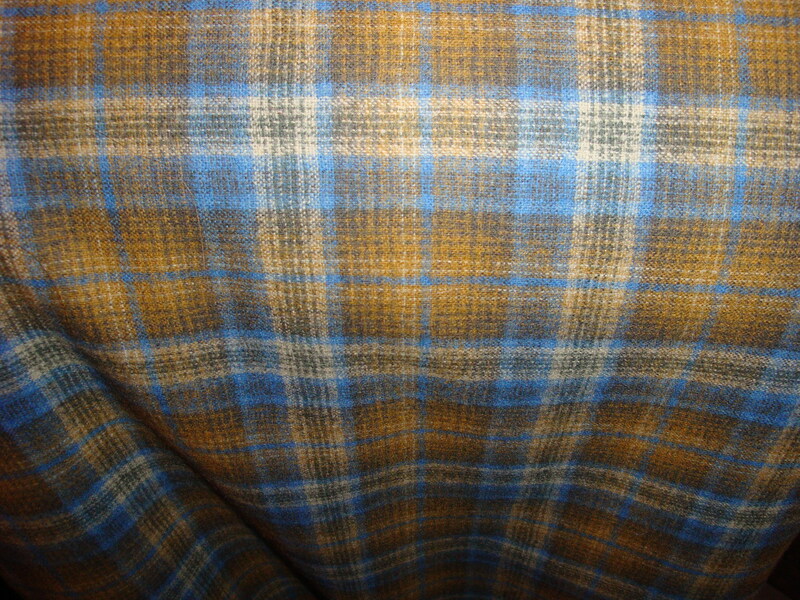 Just look at what I found – an exceptionally lovely woven plaid. Not surprisingly, 11 yards came home with me. While I knew that I could document plaid fabrics to 14th century England (Museum of London, Textiles and Clothing pg. 50), I was not certain about using it for a houppelande. 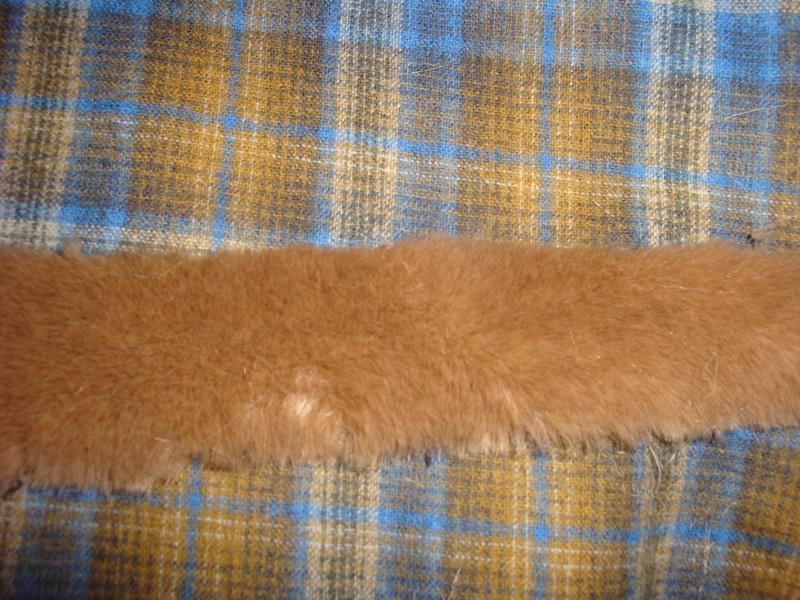 And so, I set out to find evidence of woven plaid wool used to make a houppelande – and I found it! 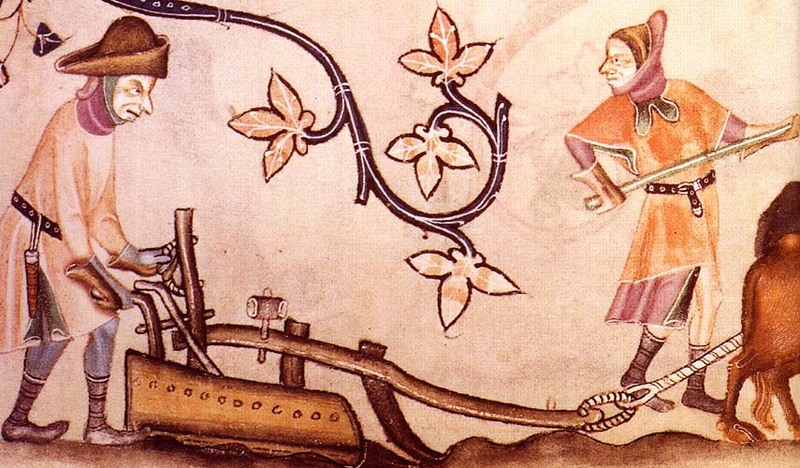 Located in Germany, at the Heidelberg University Library, is a text produced in workshop that existed in 1418 Alsace, France. 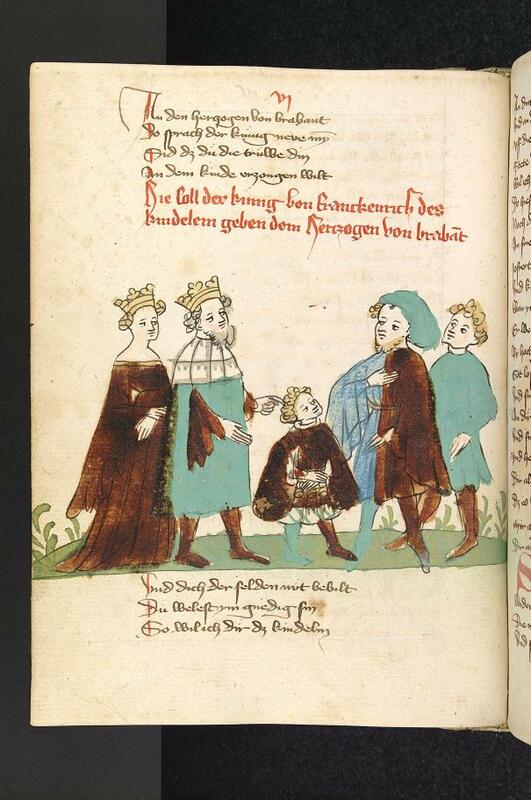 This book tells Rudolf von Ems’ French tale Willehalm von Orleans (1235–1240). It is the story of an ideal knight striving to survive in a harsh world of practical realities. Imagine my excitement as I examied each page (wonderfully photographed and posted online) to find multiple plaid images. And so, I’ve begun the process by cutting out the gown. Now I’m committed to the plaid – and loving it! It started as an accident. I was making a breakdown queen size camping bed for us to use and mis-measured the height of the holes to cut in the corner posts. So I had 4 posts I couldn’t use. I didn’t want to throw them away so I thought I would use them to make a twin size breakdown camping bed. 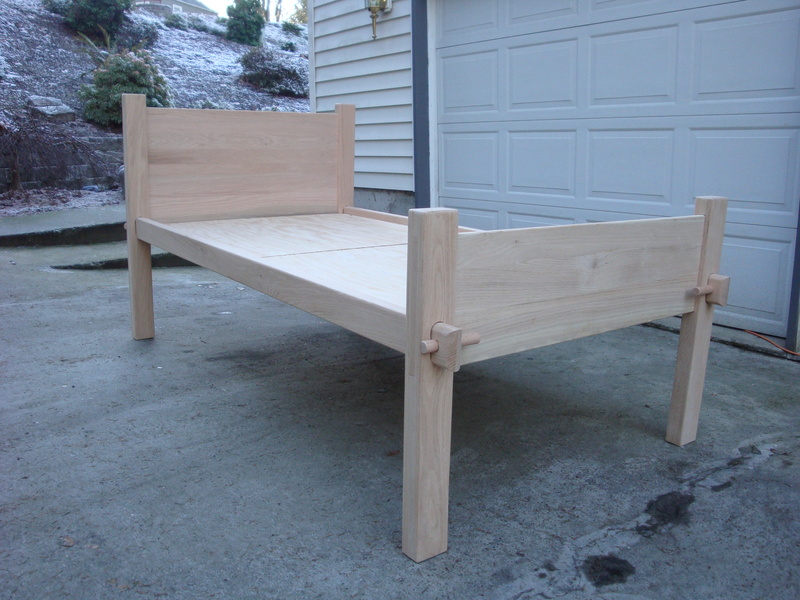 We didn’t need it so I contacted my knight, Sir Godric ap Rhys, and asked if he would sponsor the bed for the Knight’s Auction at 12th Night. So, we packed it up and hauled it to Eugene on Friday, January 7 . . . most of it that is, it seems I forgot the plywood at home. After a quick trip to Home Depot (where they cut a second sheet of plywood I had purchased to the correct size at no charge) all was well once again.